Filipino Style Recipe: Binagoongang Bagnet sa Gata or Bagnet sauteed in shrimp paste with coconut milk is almost similar to binagoongang baboy. Bagnet is a popular delicacy in Ilocos made from pork belly deep fried until crispy and blister on skin. Normally the bagnet sauteed in shrimp paste together with tomatoes and chili then add coconut milk for more flavorful and creamy taste. 1. In the pan, heat oil and saute garlic, onion and tomatoes until soft. 2. 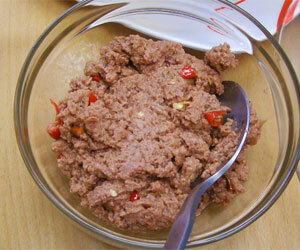 Add shrimp paste and 3/4 bagnet then saute for a minute. 3. Pour water and bring to boil. Add chili and ground pepper. 4. Add coconut cream then simmer for 3 minutes. 5. Adjust season according to taste then continue cooking until thickens. Stir occasionally. 6. 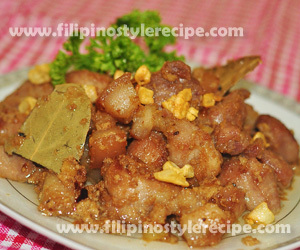 Transfer to serving plate then top with remaining bagnet. Serve with steamed rice. Filipino Style Recipe: Chicken Binagoongan with Gata or Chicken sauteed in shrimp paste with coconut milk is almost similar to binagoongang baboy. Normally the chicken sauteed until light brown then cooked in shrimp paste and chili. 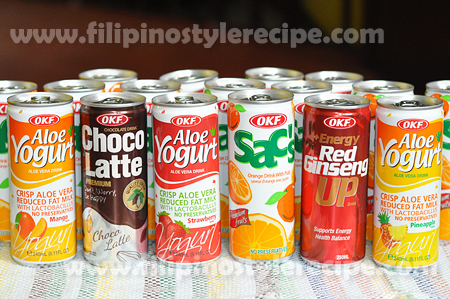 Add coconut milk for more flavorful and creamy taste. 1. In a bowl, marinate chicken in calamansi juice and dried rosemary for 15 minutes. 2. Add marinated chicken and continue sauteing until color turns to light brown. 3. Pour water and shrimp paste then simmer for 10 minutes or until tender. Add more water if necessary. 4. Add brown sugar, chili, ground pepper then continue cooking for another 3 minutes in low fire. 5. Add coconut cream then simmer until thickens. Keep stirring. 6. Transfer to serving plate then sprinkle with spring onion. Serve with steamed rice. 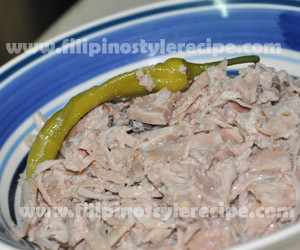 Filipino Style Recipe: Sinantolan is another popular side dish from Southern part of Luzon specially in Laguna and Bicol region. This dish is made of grated santol meat cooked in shrimp paste and coconut cream and usually serve with fried and grilled food. 2. 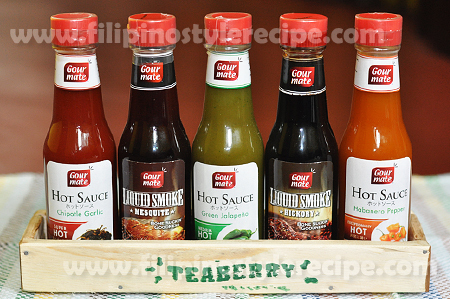 Add sauteed shirmp paste, chili and santol meat. 3. Stir cook for 5 minutes then pour coconut cream. 4. Simmer for 20-30 minutes or until start to render oil. 6. Remove from heat then transfer to serving plate. Serve with steamed rice. 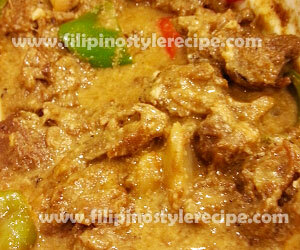 Filipino Style Recipe: Adobong kambing sa gata or goat meat adobo in coconut milk is another variety of Filipino adobo. Many people do not want the goat meat because of strong smell but boiling it together with ginger and onion helps to lessen the unwanted odor. When the meat is tender, sauteed until brown and cooked it in a blend of soy sauce, vinegar, salt, pepper and coconut milk. 1. In a pot, boil enough water to cover the meat then add ginger, onion and salt. 2. Add goat meat then simmer until the meat is tender. Add water if needed, drain and set aside. 2. Add bay leaf, peppercorn and shrimp paste then continue sauteing for a minute. 3. Add goat meat then stir cook until light brown then add bell peppers. 4. Add water and soy sauce then simmer for 10 minutes. 5. Add vinegar then simmer for 5 minutes or until start to render oil. 6. Add coconut cream and chili flakes then simmer until sauce is half absorbed. Stir occasionally. 7. Adjust seasoning according to taste then transfer to serving plate. Serve with steamed rice. 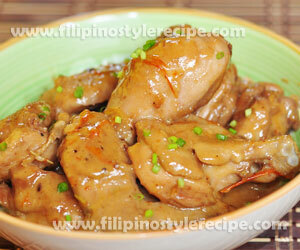 Filipino Style Recipe: button mushroom adobo sa gata or adobong kabute sa gata is another variety adobo dish. This dish is healthier because we will use mushrooms instead of meat. 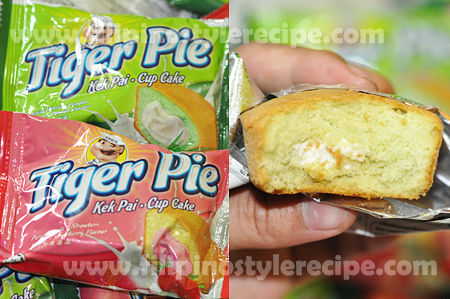 We will also include coconut cream to produce creamy and tasty flavor. The procedure is easy and simple, saute button mushrooms in vinegar and coconut cream then cook until thicken. 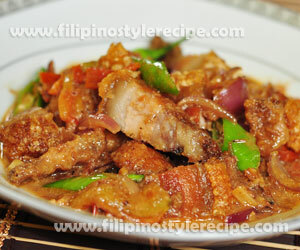 Filipino Style Recipe: Pork adobo with coconut milk(adobong baboy sa gata) is another variety of Filipino adobo. This dish is special because we include coconut milk to provide creamy and flavorful taste. Normally the pork belly marinated then sauteed and cooked in a blend of soy sauce, vinegar, salt, pepper and coconut milk. 1. In a bowl, combine pork, vinegar, soy sauce, brown sugar and ground pepper then marinate for an hour. 1. In a saucepan, heat oil and saute garlic, peppercorn and bay leaf. 2. Add pork and cook until brown. 3. Add marinade, coconut milk and red chili. 4. Cook in a low heat for 20 minutes or until pork is tender. Add water if needed. 5. Adjust seasoning according to taste then simmer until the sauce thicken and start rendered oil. 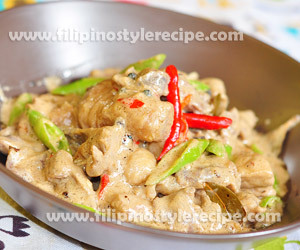 Filipino Style Recipe: ginataang puso ng saging or banana blossom in coconut milk is another easy yet healthy dish. Normally the banana bud/blossom sliced then cooked with coconut milk together with shrimps or salted dried fish, season with salt and pepper. 1. Discard the outer reddish cover of the banana bud until you reached yellowish white part. 2. Slice thinly the bud lengthwise then chopped thinly across the grain. 3. In a bowl,combine salted water and banana bud. Soak for 15 minutes. 4. Drain and squeeze out all the juices. Set aside. 2. Add pork and simmer until color turns to golden brown. 3. Add banana bud and cook for 2 minutes. 4. Pour vinegar, cover and simmer for 3 minutes. Do not stir. 5. Pour coconut milk, green chili and simmer until the liquid reduced. Stir occasionally. 7. Simmer until sauce is thickens and oily. 1. You may also used shrimp or salted dried fish. 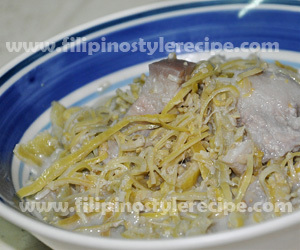 Filipino Style Recipe: ginataang langka or jackfruit in coconut milk is another easy yet healthy food. Normally the jackfruit sliced and boiled. Then cooked with coconut milk together with shrimps or salted dried fish, season with salt and pepper. 1. In a saucepan, heat oil and saute onion, garlic and ginger. 2. Add langka, stir and saute for a few minutes. 3. Pour coconut milk(second extract), simmer over low heat for 10 minutes. 4. When the sauce is almost absorb, pour coconut cream(first extract) and season with salt and pepper. 5. Cook for another 10 minutes or until langka is tender. Stir occasionally to avoid curdling. 6. Add fried fish and green chili, simmer until sauce is thickens and oily. 7. Transfer to serving bowl then serve.